Dangal actor Aamir Khan is currently busy for his upcoming movie “Secret Superstar” and was present for its music launch at an event recently. And in conversation with the media, the star expressed his disagreement on mentioning only the three names (Shahrukh, Salman and Aamir) every time when we talk about stardom. He feels that there are more “talented” actors other than this Trio. 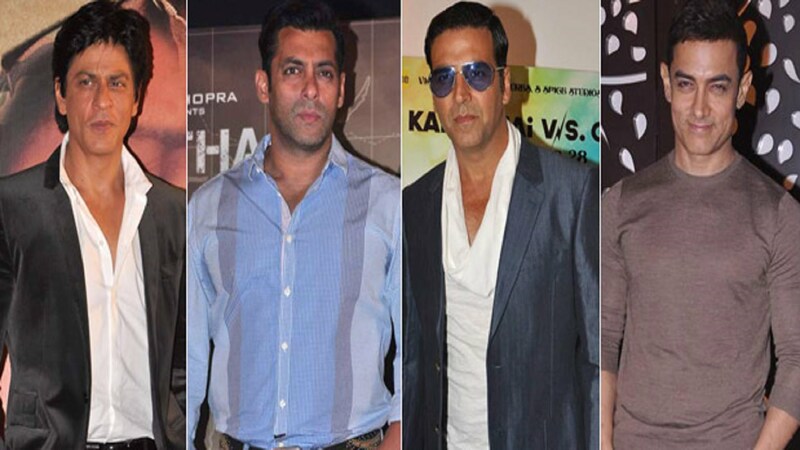 There was a time in the Bollywood industry when the movies of Shahrukh Khan and Salman Bhai touched the Rs.100 Cr. mark in the initial days of their release, but now audience prefers story-oriented movies and not star name connected to the film. And the same can be witnessed by ‘not so successful’ recent release of Tubelight and Jab Harry Met Sejal. The 52-year-old actor, who is known for his versatile acting be it as a talented student in 3 idiots or as a supporting and understanding instructor in Taare Zameen Par was cited appreciating our Khiladi Kumar for his movie Toilet: Ek Prem Katha which is being praised by audience and everyone in the industry. "Secret Superstar" is all set to hit theatres in the coming October and will clash Rohit Shetty’s ‘Golmaal 4’.